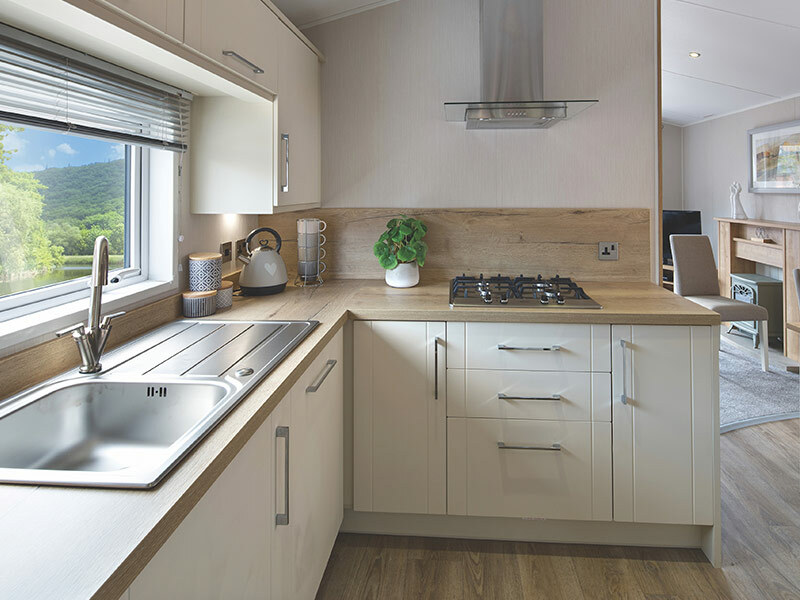 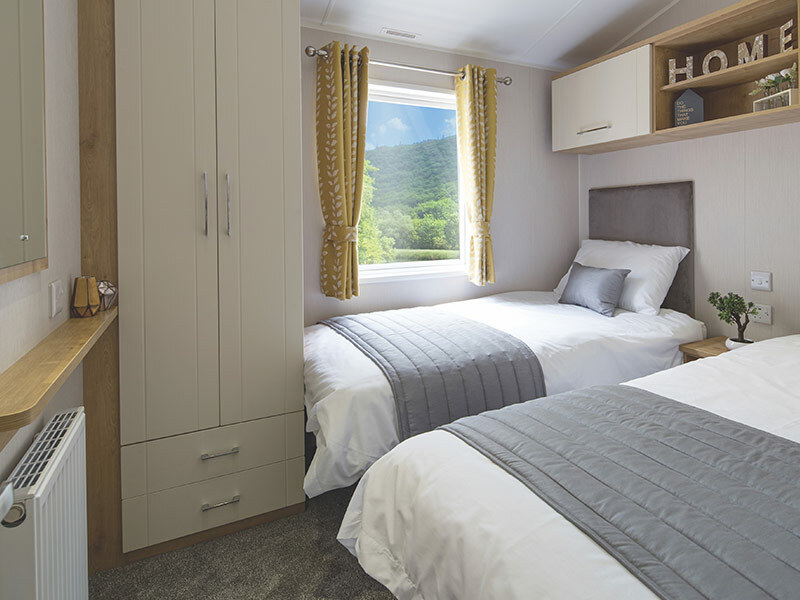 The Willerby Winchester's unique layout guarantees that the semi-secluded lounge provides separation between the hustle and bustle of the kitchen and the peace of the lounge area. 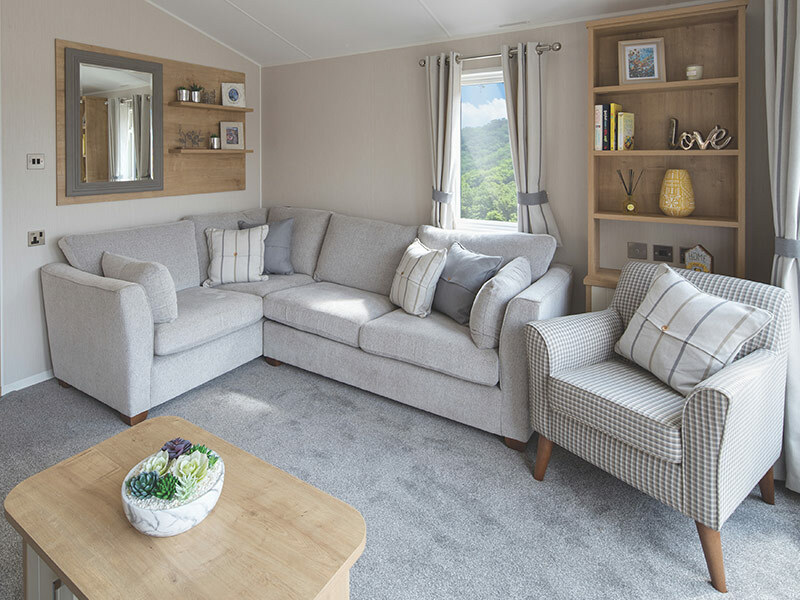 The lounge has freestanding L-shaped sofa (with foldout sofa bed), accent armchair and scatter cushions. 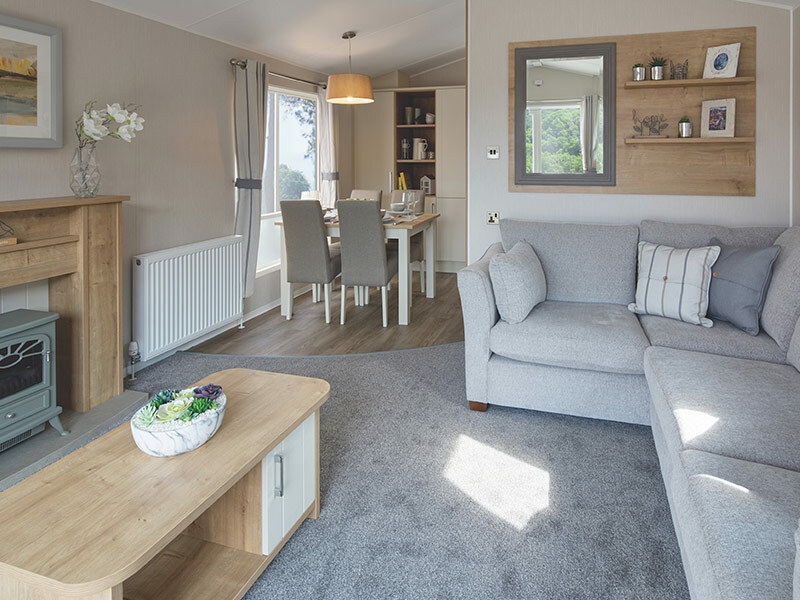 The lounge also hosts a stunning flame effect wood burning stove with feature fire surround, display unit with mirror, freestanding TV cabinet, coffee table and wall art. 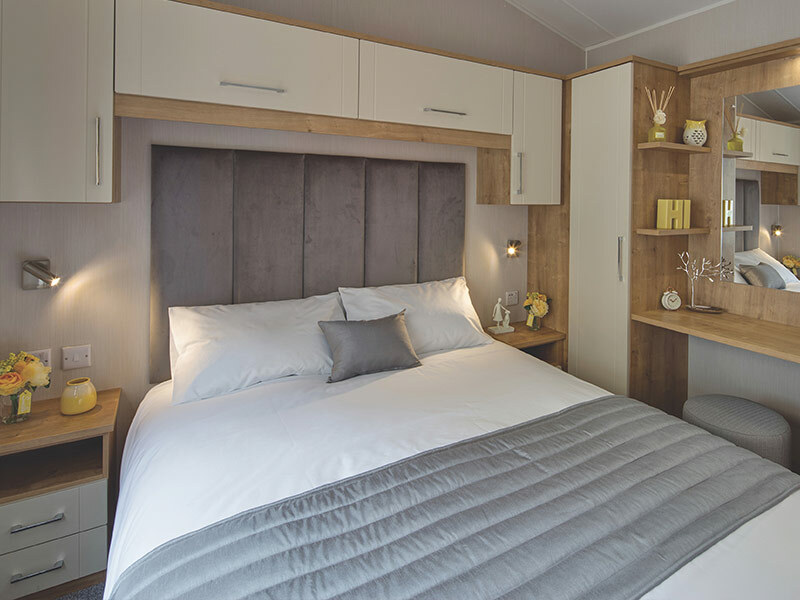 The Winchester’s hotel style master bedroom is perfect for those early nights after days spent out on adventures. 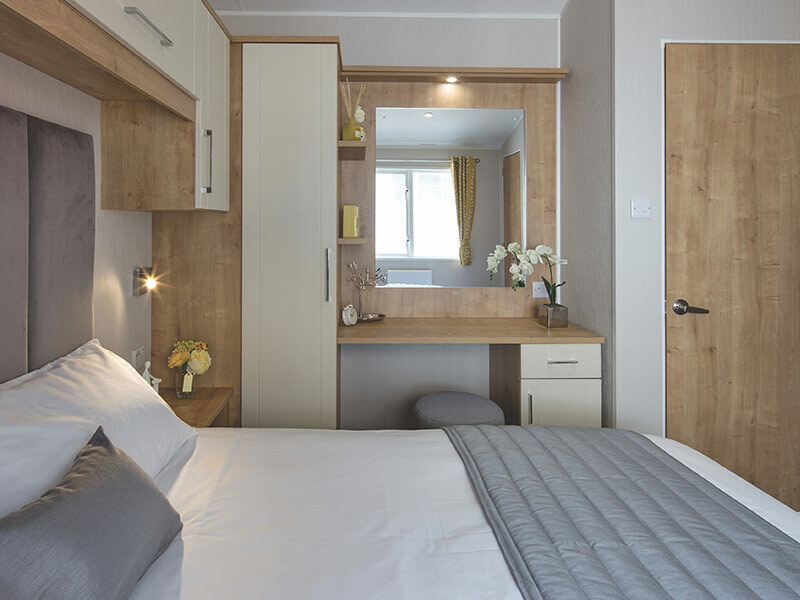 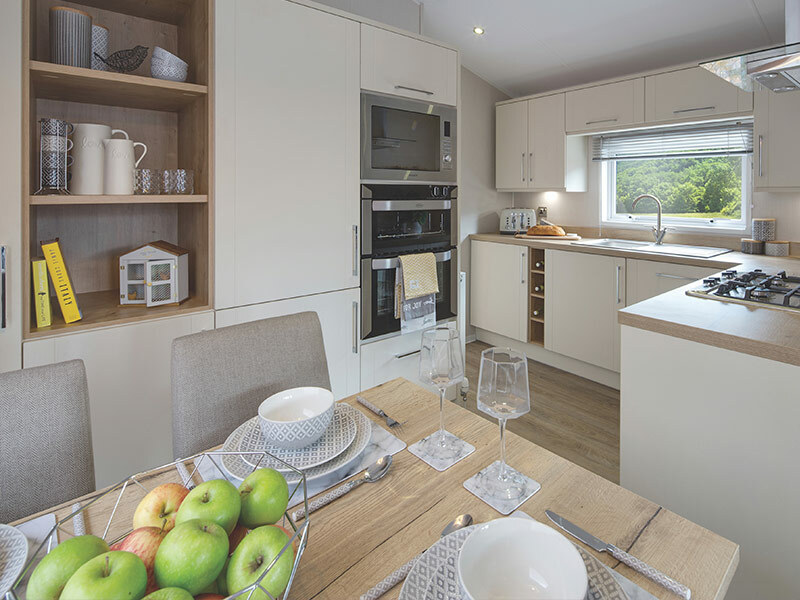 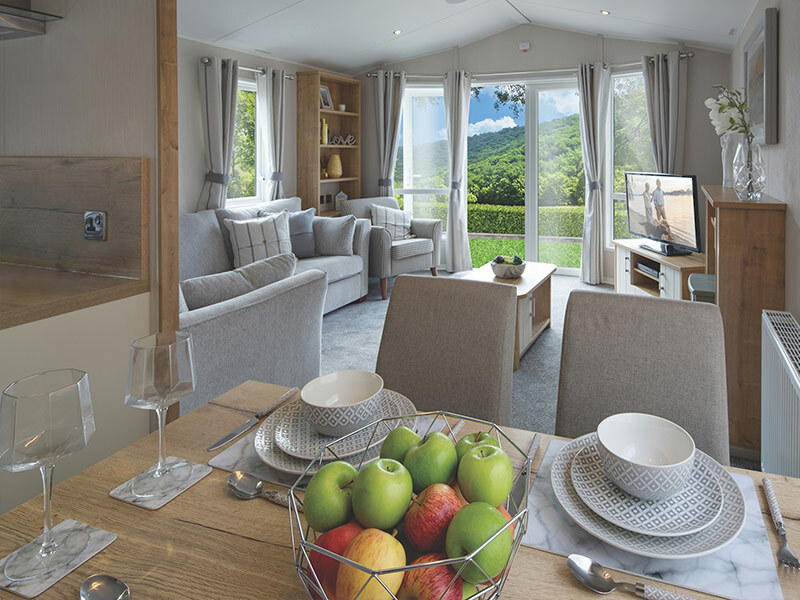 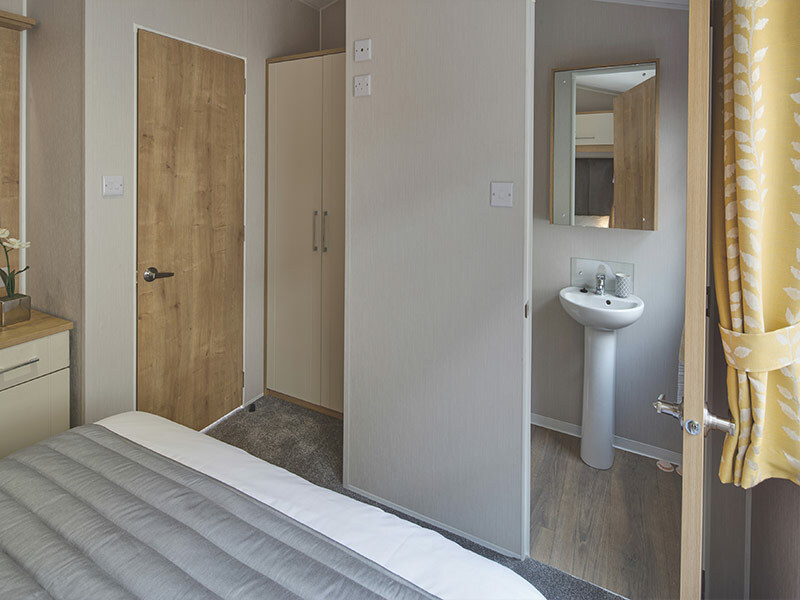 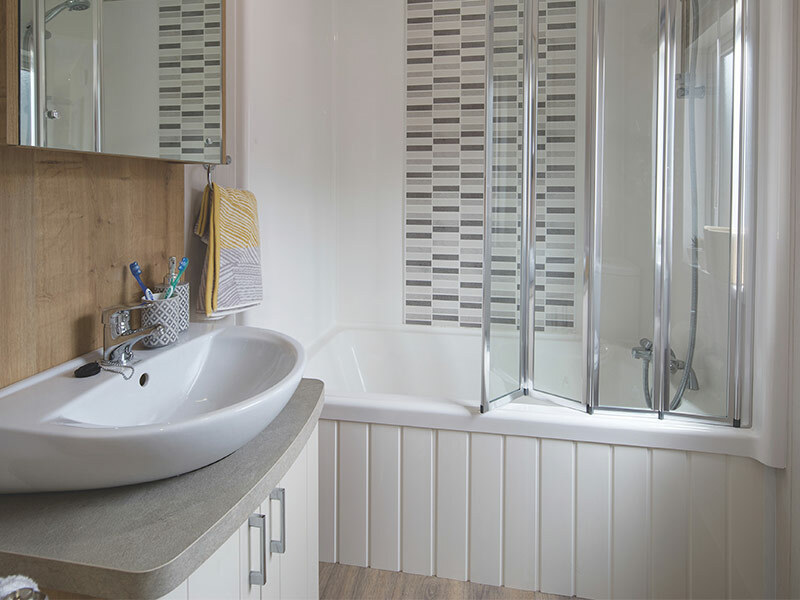 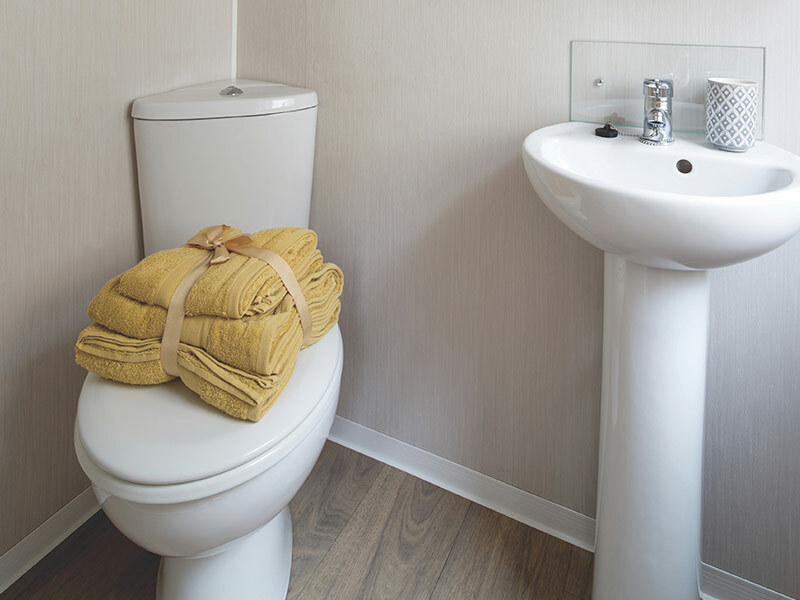 The Willerby Winchester such a special holiday home – feeling spacious, yet peaceful and cosy.